One common thing I like to do on weekdays when I don’t have enough leftovers for lunch is to prepare something that will make a casserole dinner for my family that I can easily pull a lunch’s worth of food from for myself right then. 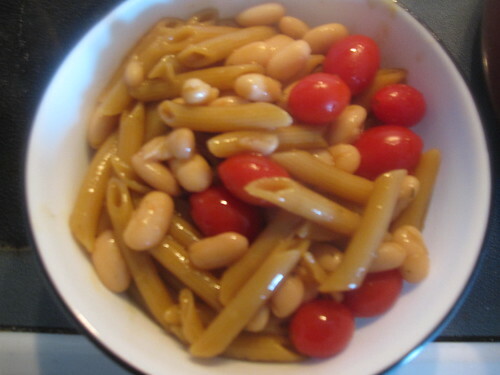 I prefer meals of this type that are simple to make so that I don’t invest a lot of time in it, either. This dish, which I actually prepared today for lunch and intend to have for dinner with the family on either Saturday or Monday evening, is a perfect example of what I’m talking about. I made a healthy bowl of this for myself and also filled up a casserole for baking for my family’s dinner in a few nights. It’s hearty, delicious, cheap, and incredibly simple. 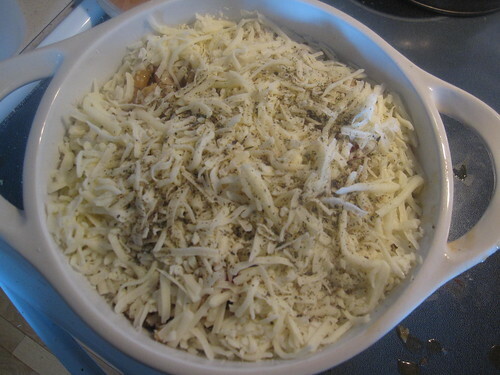 I also used some mozzarella cheese – about two cups, shredded – for the casserole. There’s nothing to do in advance preparation for this dish. It’s really easy. Get out a large pot. 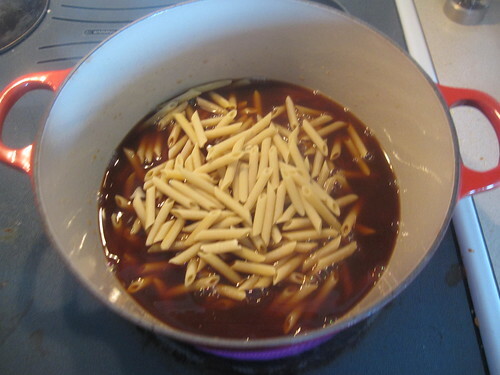 Add the stock to the pot, then add the dried penne. … and then I put the rest into a small casserole for later serving. As a top layer on the casserole, I added two cups of shredded mozzarella and a few dashes of dried basil and oregano. When I’m ready to bake, I’ll allow it to adjust to room temperature for an hour or so, then I’ll bake it at 350 F for about thirty minutes, with the lid on for all but the last ten minutes or so. 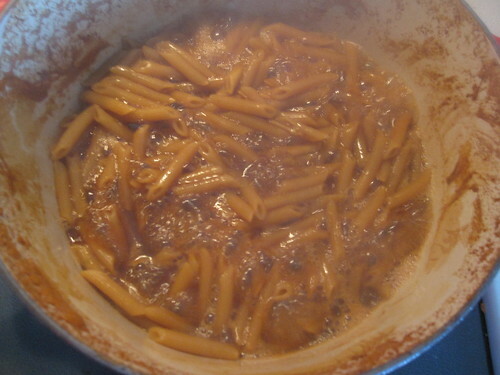 The longer you leave the lid on, the more moist the meal will be. You can all sorts of things to the mix. A sliced Italian sausage would be good, as would chicken, if you’re looking for protein. 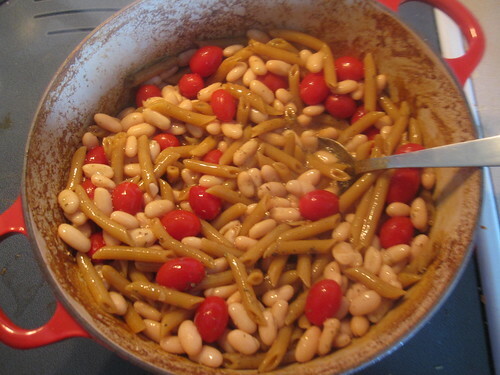 Other options include sliced button mushrooms or sliced (or even whole) olives, as well as a bit of olive oil. Add the things you like and you’re sure to be happy.